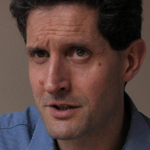 Myles Allen is Professor of Geosystem Science in the School of Geography and the Environment (SoGE), University of Oxford. His research focuses on how human and natural influences on climate contribute to observed climate change and risks of extreme weather and in quantifying their implications for long-range climate forecasts. He has served on the Intergovernmental Panel on Climate Change in 2001 and 2007, and is currently Lead Author on Detection and Attribution, from Global to Regional, for the 5th Assessment in 2013. In 2003, he proposed the use of Fraction Attributable Risk to quantify the contribution of human and other external influences on climate to specific individual weather events. Myles is Principal Investigator of one of the world’s most successful Citizen Science distributed computing projects (www.climateprediction.net). It performs the world’s largest ensemble climate modelling experiments using computing resources donated by the general public, and now runs regional climate models at 50 and 25km resolution to explore uncertainties in climate simulation and changing risks of extreme weather.